In case you haven't heard, and I don't know how you haven't since it's been trending on Twitter all Tuesday morning, that classic staple of every high school student's summer reading list is getting a sequel. Or, technically speaking, is getting a prequel. That's right, To Kill a Mockingbird by Harper Lee has a sequel, which will not only be her second book in 50 years but was also written before To Kill A Mockingbird was. Apparently, Go Set a Watchman is the novel that sparked To Kill a Mockingbird — so the real question here is how long will it take for Go Set a Watchman to become a movie? The answer here is not very long at all. Let's look at the facts. 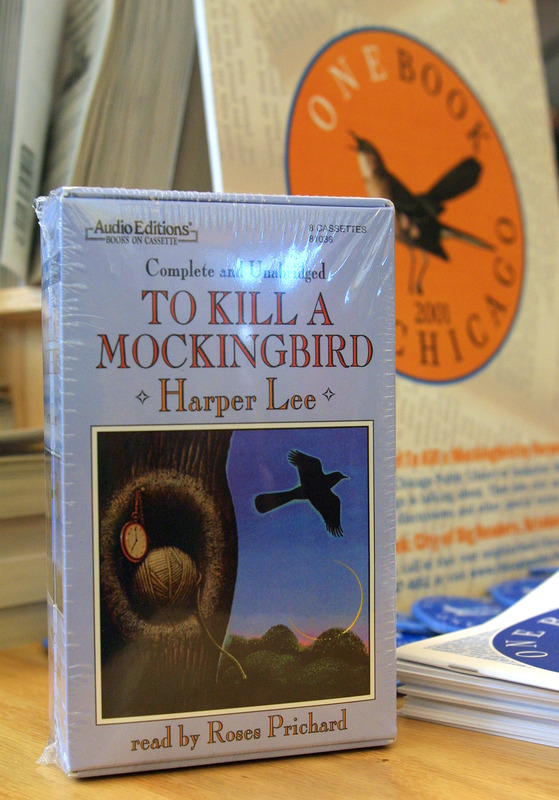 To Kill a Mockingbird was published in 1960 and was an immediate success, even going on to win a Pulitzer Prize. The first film based on the novel came out in 1962 and won three Oscars while also being nominated for five more that it didn't win. I repeat: in 1960, before the recent craze of turning almost every young adult novel that comes out into the Next Big Film Franchise, it only took To Kill a Mockingbird two years to receive a film adaptation. Heck, the film is considered one of the best movies ever made. To be perfectly honest, considering how revolutionary it is for Lee to be publishing another book when, 50 years later, we all thought To Kill a Mockingbird would be her only one ever, it's impossible that there won't be a Hollywood bidding war over the rights to a film option. The only real obstacle in the creation of a film adaptation might be Lee herself. We are, after all, talking about the author who has generally refused any kind of publicity for herself or To Kill a Mockingbird in the years since the novel was released. However, considering her original novel did receive a film adaptation, we might get lucky enough for her to be willing to work with Universal Pictures again since they did right by her the first time. Go Set a Watchman already has the publisher planning a two million copy first printing and is set for a July 14, 2015 release date that near everyone is feverishly scrawling onto their calendars whether they liked the original novel or not. Did I mention this is Lee's second book ever? It's literally like J.K. Rowling having been discovered to have written another book after Harry Potter, in terms of book nerd excitement. Of course, book nerds probably won't be as excited about the film adaptation as non-book nerds since the film is never as good as the book (unless the film is Fight Club), but that's okay. The inevitable Go Set a Watchman film will allow Lee's story to reach an even wider audience, even among those who might have bad memories associated with the horrific summer reading list that first forced them to read the original novel. And if Go Set a Watchman explores any of the themes that To Kill a Mockingbird did, then now, more than ever, is the perfect atmosphere to bring those themes back to light. I'll see you at the movies.